This beautiful cocktail table is the perfect addition for any home. With its amazing lift top, you can bring the appetizers closer to your guests without them having to get closer to the table. 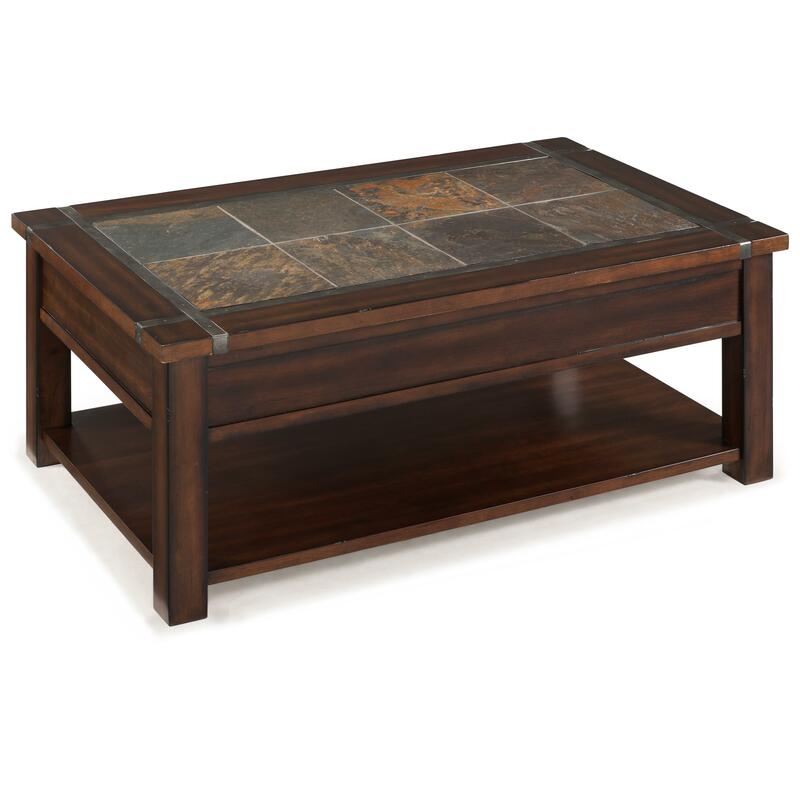 The unique patterned stone table top and casters adds a modern touch that makes the stylish look of this table complete. The Roanoke Rectangular Lift Top Cocktail Table With Casters and Shelf by Magnussen Home at Darvin Furniture in the Orland Park, Chicago, IL area. Product availability may vary. Contact us for the most current availability on this product. The Roanoke collection is a great option if you are looking for Mission furniture in the Orland Park, Chicago, IL area. 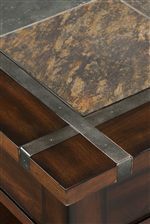 Browse other items in the Roanoke collection from Darvin Furniture in the Orland Park, Chicago, IL area.